Gallbladder Removal Surgery Complications | Simmons and Fletcher, P.C. Gallbladder removal surgery or cholecystectomy is one of the most common surgeries performed by doctors today. As a patient, you should be able to rest knowing that your doctor is taking precautions not to damage other organs while performing this routine surgery. Unfortunately, this is not always the case. If you have suffered serious gallbladder removal surgery complications such as cutting the bile duct or perforation of the bowel, contact Simmons and Fletcher, P.C. today for a free consultation at 1-800-298-0111. You should not have to suffer after such a routine surgical procedure. The gallbladder is a pear-shaped organ that collects and stores bile, a digestive fluid produced by the liver. Unfortunately, our gallbladders do not always work right. When they fail to function properly and allow too much bile and cholesterol to accumulate, gallstones may form. Gallstones are typically either made of cholesterol (Cholesterol Stones) or bile (Pigment Stones). Both forms can be very painful when the block a bile duct. The only way to remedy the pain is to remove the gall bladder entirely. A laparoscopic cholecystectomy is performed through a series of small incisions in the abdomen that allow surgeons to remove your gallbladder without making a large opening in your belly. This is a common medical procedure that can significantly reduce pain and recovery time due to its non-invasive nature. However, a laparoscopic cholecystectomy is not appropriate for all patients so be sure to consult a licensed medical professional about the factors associated with this procedure if you feel like you may need it. 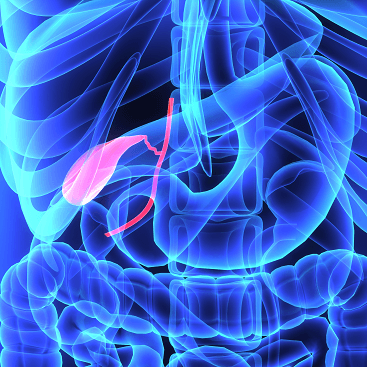 The second way to have your gallbladder removed is an open cholecystectomy. This is when doctors may use one large incision on your belly to remove your gallbladder. There are a serious of factors that affect a surgeon’s decision on how to operate so always consult a licensed medical professional if you feel you are suffering from issues with your gallbladder. If a doctor does not properly examine a patient’s medical history, or identify the proper biliary and duct structures, they are putting their patients life in danger. One of the more rare but serious complications associated with a laparoscopic cholecystectomy is injury to the bile duct. This injury may result in serious liver damage and require additional surgery to fix. If you or someone you know has experienced serious injuries as a result of gallbladder removal surgery, you may be entitled to legal compensation. To fully understand your rights, call 800-298-0111 for a free case evaluation with an experienced personal injury attorney. Since 1979, Simmons and Fletcher, P.C., has help individuals injured due to the negligence of others. Contact us today for more information on your medical malpractice claim at 1-800-298-0111.